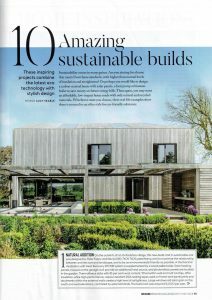 Koru Architects’ award-winning office featured as number three in Grand Designs magazine’s article ‘10 amazing sustainable builds‘ which was published in their May 2018 magazine issue (p.94). 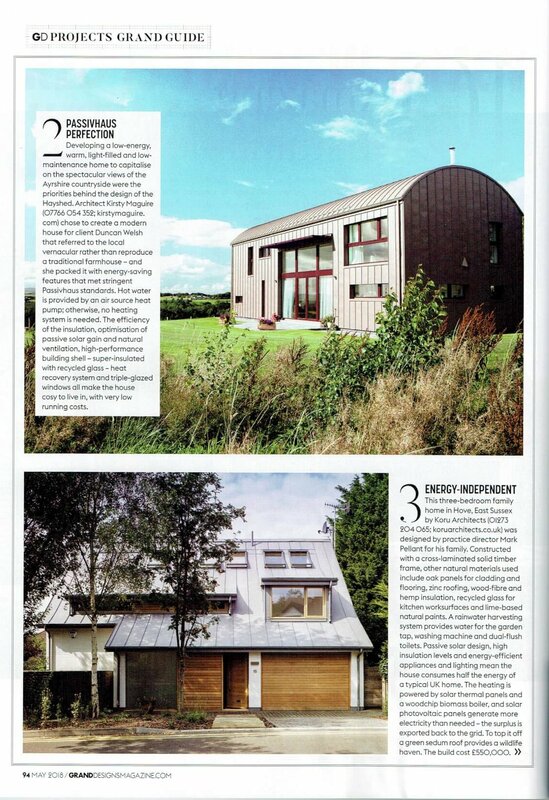 We’re delighted to appear alongside nine other beautiful, sustainable homes. As stated in the magazine, there’s no need to sacrifice style for eco-friendly substance! For more details on this build, check our projects page. Alternatively, you can read our comprehensive Lloyd Close Koru Architects Case Study.